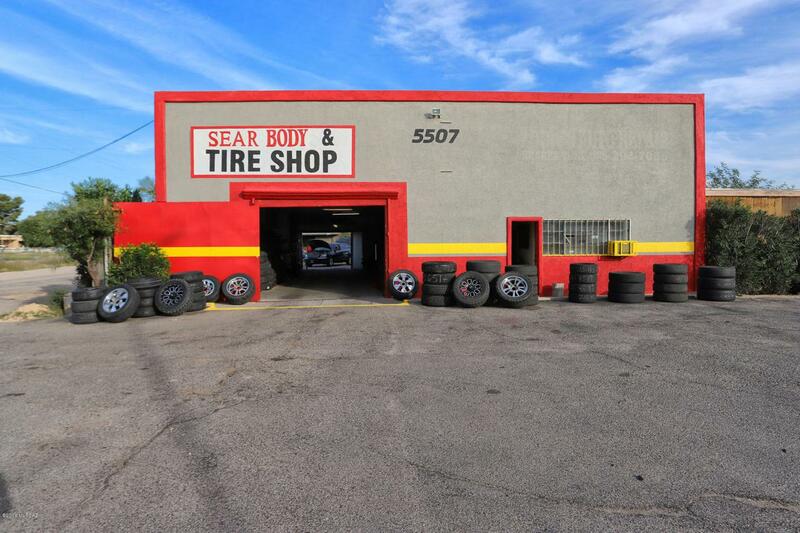 NEW PRICE-Here is your opportunity to acquire this 1.05 acre corner lot Commercial/Industrial property zoned Tucson C-1, an existing well maintained 2,550sf building that is currently used as Tire/Auto shop with offices and waiting area. The property offers lots of work space, parking and storage. Park Avenue has a high traffic count. Sellers may consider financing. Property has city water and septic. The Property is fenced. Per the Tucson City Zoning department this property is grandfathered as a garage or can be used for other uses under the Tucson C-1 zoning. Buyer is to verify all allowed zoning uses. Courtesy of American Desert Realty. Listing provided courtesy of American Desert Realty. Listing information © 2019 MLS of Southern Arizona.